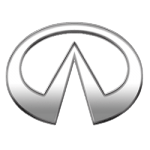 Infinti are a relatively new luxury car brand having started in 1989. Made in USA we have great Infiniti lease deals for you from the Q30 to the Q60 Coupe. Check out our Infinti lease offers below.